There are more pictures of Witts End past and present here and here. 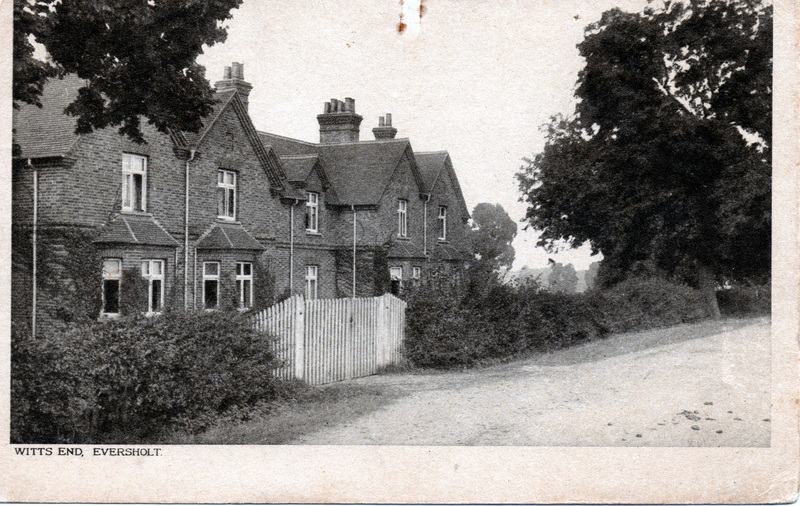 This postcard of Bedford estate cottages in Witts End was contributed by Martin Woolhead. It was one of a series published by the owner of the village stores. The back of the postcard gives the publisher as “E R Lovell, Post Office, Eversholt”. The date is unknown. 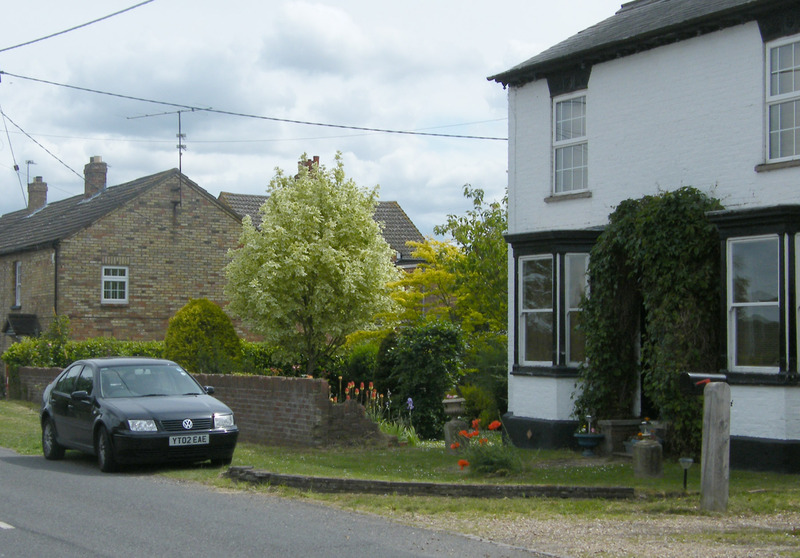 The cottages are still very much there in Witts End in 2011. This image has been edited to increase contrast and restore colour from the faded original. 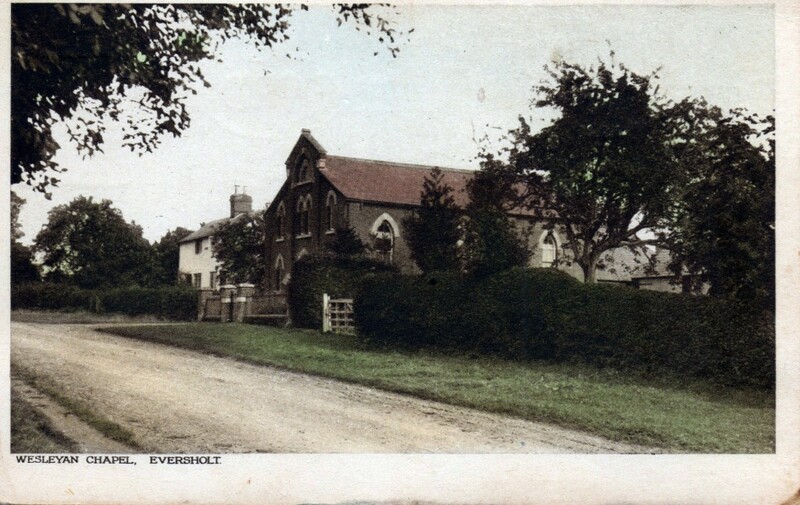 This postcard from the same series is of the Wesleyan chapel in Witts end. The chapel fell into disrepair in the 1960s and was demolished. 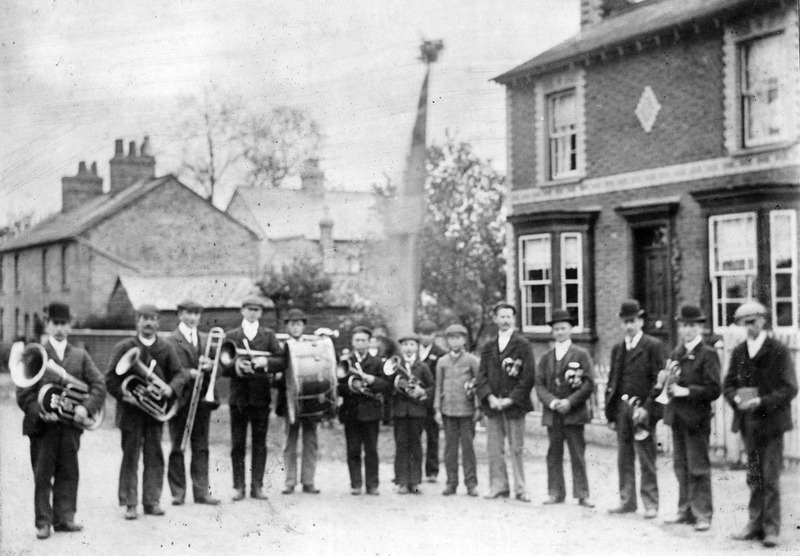 This picture of the Eversholt band outside Witts End Farm came from Don Impey. This picture was taken by Emrys Williams in 2011 from about the same spot as the one above.